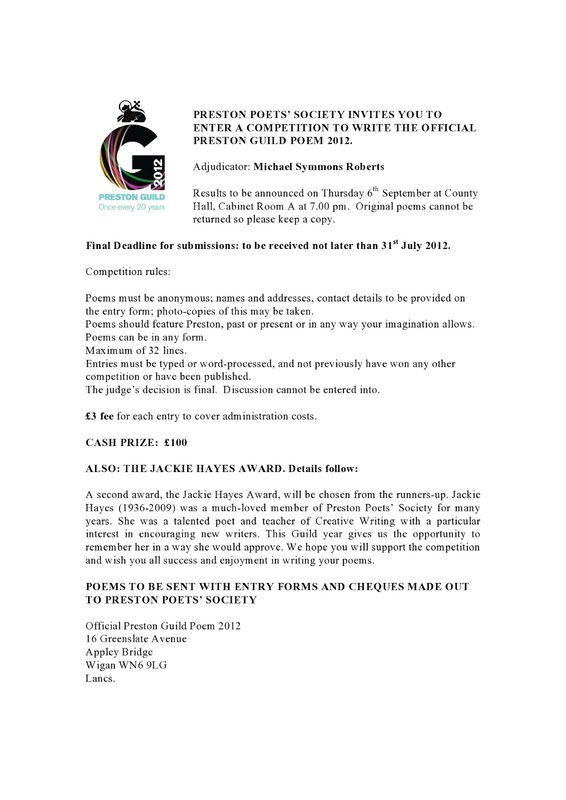 The Poetry society are proud to be running a competition for the Preston Guild. The competition is to write a poem which can be in any style or form, but must feature Preston within it. The winner will win £100 and be featured in the Society newsletter, second prize is the Jackie Hayes Award. The competition is to be judged by Michael Symmons Roberts. He is a Whitbread Award winning poet born in Preston before moving to Newbury. You can read the article in the Lancashire Evening Post here. 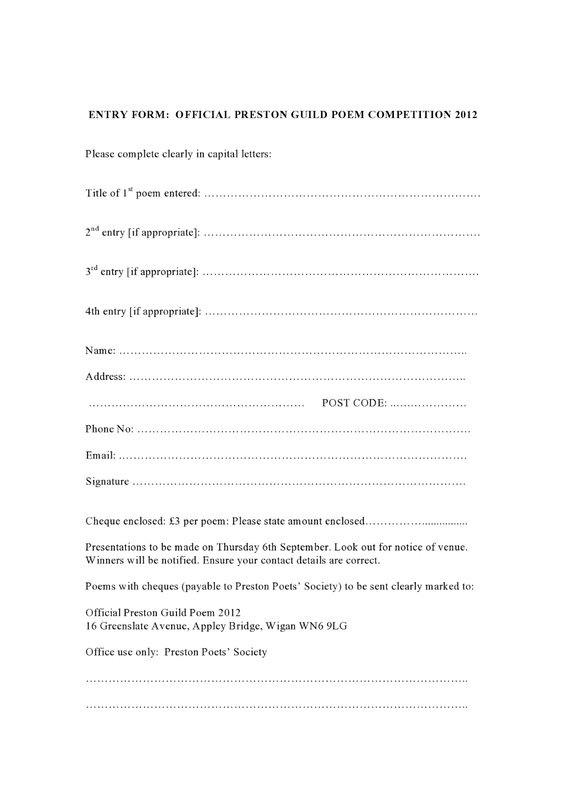 An entry form can be downloaded here. The Spring Newsletter is now available on the Newsletter page (and also a quick link here). It contains details on latest poets being published and the top 3 poems of the MacKenzie Trophy.